6. 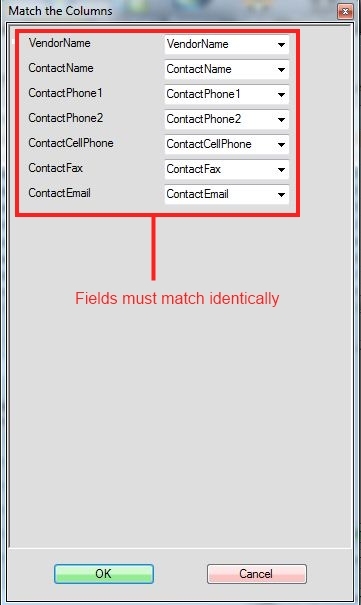 Select your excel file at its location on your computer in the window that appears, and then in the following window match the fields on the right to those on the left such that they are identical. Then select OK.